Plastic Surgery, Cosmetic Surgery and Aesthetics News, Reviews, Guides and Prices. Looking for rhinoplasty (nose job) in Kuala Lumpur (KL), Malaysia? In this post, we have developed a one-stop resource for rhinoplasty and have compiled a list of prices, reviews and plastic surgery centres in Kuala Lumpur and Selangor, Malaysia. Rhinoplasty, sometimes referred to as a "nose job" or "nose reshaping" by patients, enhances facial harmony and the proportions of your nose. It can also correct impaired breathing caused by structural defects in the nose. 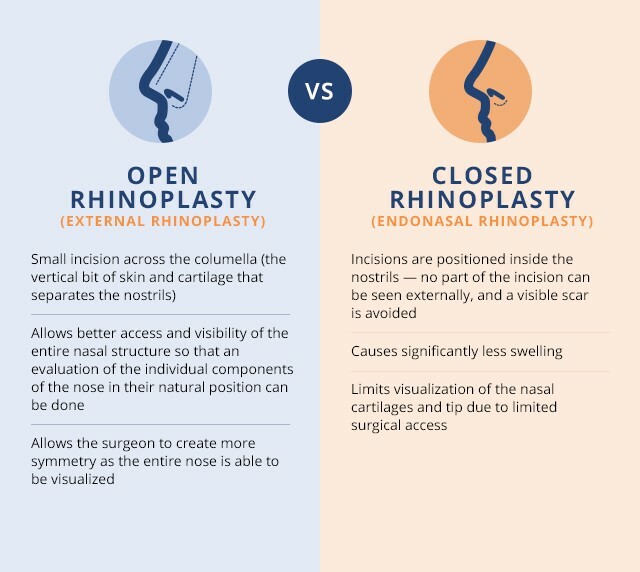 Rhinoplasty is performed either using a closed procedure, where incisions are hidden inside the nose, or an open procedure, where an incision is made across the columella, the narrow strip of tissue that separates the nostrils. Whereas a non-surgical rhinoplasty (non-surgical nose job) refers to a medical procedure in which injectable fillers, most commonly hyaluronic acid ones are used to alter and shape a person's nose without invasive surgery. For more information on non surgical nose jobs, check out non-surgical nose job malaysia. Rhinoplasty surgery alone costs between RM 9,281 and RM 18,000 in Malaysia. That cost that may or may not include extra charges such as consultation and additional treatment sessions. Dr. Cheong You Wei comes across as a not-very-chatty plastic surgeon, but he addresses all queries posed with clarity, detail and patience. Sometimes he may seem to downplay his capability, but to be honest, I am very happy with the rhinoplasty outcome that he has performed on me. The result is a visibly higher nose bridge that is still very natural, with some tip refinement, although no ear cartilage was used during the procedure. I like that the natural shape of my nose is maintained and the changes are subtle yet noticeable. Sometimes as patients we may say confusing statements that seem to contradict each other (higher nose bridge but natural looking, want an augmentation but want to look subtle), Dr. Cheong captured all his client’s verbal input on the desired end result, and I think he nailed it. Hello everyone. I want to have a nose job, the surgical invasive type, with the cartilage implant (not with silicone). In short, i want taller, slimmer nose. So far, I have nailed down Dr victor cheong in Esadsa medical house, Dr Leow in Imperial medical, and Dr George from George plastic surgery. I would appreciate any input about these docs' performance. I did my rhinoplasty in Malaysia and i'm very happy with the outcome. During consultation, i told the doctor that i want a nose with a bridge ( cause i don't think i have one ) that looks natural. So I let my doctor decide on how high my new nose would be. After the surgery, i was very satisfied with the result. there was no pain during recovery and only a little swelling. My nose looks natural and nice. I felt more confident after the plastic surgery as I don't have to worry about people picking and making fun of me because of my flat nose. Choosing the right plastic surgeon and plastic surgery clinic for the right procedure are both complex and challenging. There is no one size fits all answer. Do your homework and find the ‘right’ plastic surgeon you can trust. 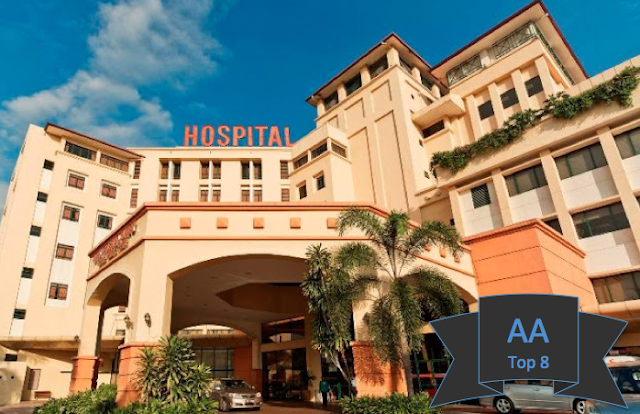 To assist you in finding the best plastic surgery clinic in KL or Selangor in Malaysia, check out our top best plastic surgery clinic list below. Selection Methodology: The selection of the plastic surgery clinics is based on Google Search Results, Erufucare clinic directory and information available on blogs and forums. Disclaimer: The list of plastic surgery clinics has been categorised by location but has been arranged in no particular order of importance. The 'Best 8 Plastic Surgery Clinics in Malaysia' are not based on facts but are based on opinions, reviews and factors as mentioned in the selection methodology. If you are not sure which clinic to choose, please feel free to contact us. 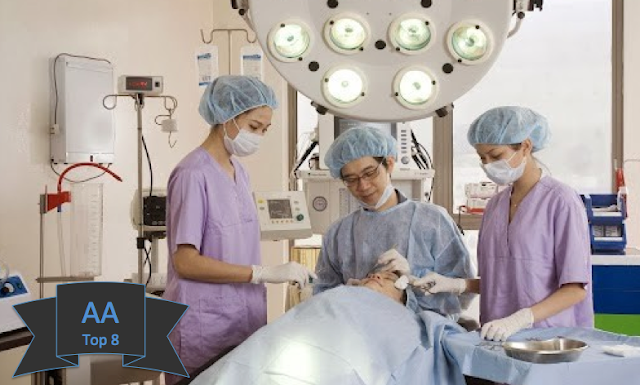 Here are the top 8 plastic surgery clinics in Malaysia. Address: No. 8, Jalan Bukit Pantai, Taman Bukit Pantai, 59100 Kuala Lumpur, Malaysia. * JCI (Joint Commission International) is the international gold standard for medical centre accreditation. Address: Block A & Block B, 286 & 288, Jalan Ampang, 50450 Kuala Lumpur, Malaysia. Address: 39, Jalan Kia Peng, Kuala Lumpur, 50450 Kuala Lumpur, Wilayah Persekutuan Kuala Lumpur, Malaysia. Sub Specialty: Microsurgery, cosmetic surgery, cancer reconstruction, Fat grafting, liposuction, body contouring. Specialisation: facelift, liposuction, tummy tuck, breast surgery, cleft, cranio-facial surgery, burns care. Specialisation: facelift, breast augmentation, reduction and reconstruction, liposuction and abdominoplasty. Specializations: All plastic surgeries, clefts, burns, breast reconstruction, pressure sores, lymphedema management, skin cancers, limb reconstruction, aesthetic procedures & management of axillary hyperhidrosis. Specializations: Breast augmentation surgery (mammoplasty), Breast reduction surgery (mammoplasty), Liposuction (Lipoplasty), Nose reconstruction (Rhinoplasty), Plastic and reconstructive surgery for burns, Tummy tuck (Abdominoplasty). Address: 11, Jalan Teknologi, PJU 5, Kota Damansara, 47810 Petaling Jaya Selangor, Malaysia. Address: Merchant Square, A-1-3A, Jalan Tropicana Selatan 1, PJU 3, 47410 Petaling Jaya, Selangor, Malaysia. Moving Forward - What Next? Filter and shortlist your clinics. Once you have shortlisted the clinics, book an appointment to have a consultation with your plastic surgeon. Do compare them based on your first impressions and other considerations. Use a table with factors to consider and a scoring for each important factor, if you need to improve your clarity. Are they accommodating in terms of appointment time and date? Was a solid plan of action determined with detailed information especially post-procedure precaution and care? In the event of a possible complication or infection, do you need to pay extra? And one last precaution, hotel rooms are not meant for cosmetic surgery procedures. For international customers, it's recommended that you take up a travel insurance. This is to ensure that in the event of post-operative complication, your hospital admission cost would be covered. Did you have any cosmetic surgery done? How much did it cost you? Please share in the comment box below. Plastic Surgery Prices Malaysia: Ever wondered how much cosmetic surgery actually costs? Plastic Surgery Reviews in Malaysia - Please read before going! If you are looking for liposuction related information and liposuction prices in KL (Kuala Lumpur) or Malaysia, you are in the right place. You have most likely browsed through various websites and hopefully, have shortlisted a few clinics or centres. However, it’s clear that some of these sites are not aware of the local regulations and the Guidelines on Aesthetic Medical Practice for Registered Medical Practitioners. For liposuction procedures in Malaysia, the guidelines define and stipulate who, what and where liposuction can be and cannot be done. Plastic Surgery Prices Malaysia 2018 / 2019: Ever wondered how much cosmetic surgery actually costs? Ever wondered how much plastic surgeries and aesthetic procedures actually cost in Malaysia? Find out below. 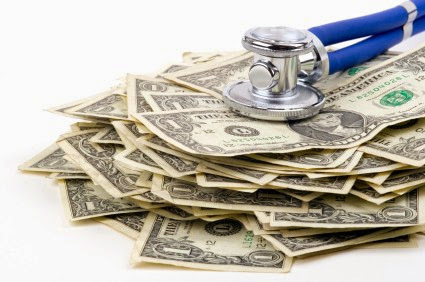 We do understand that price is an important consideration for plastic surgery. Many Malaysians have gone for 'cheap plastic surgery' procedure locally and abroad. But a growing number of them have gone to see 'unqualified doctors' and have ended up with serious infections, asymmetry and botched results. The most vulnerable demographic is the 18-26 year old women seeking plastic surgery. Bombarded with misinformation about ethical plastic surgery, and the peer pressure for enhancing their looks; unqualified doctors and so-called professionals have taken advantage of their naivety and lack of guidance. It's advisable that you just don't look for the cheapest deal as there are aesthetics guidelines in Malaysia that define who, what and where plastic surgery procedures can be and cannot be done in Malaysia. How To Find The Best Plastic Surgeon and Plastic Surgery Clinics In Kuala Lumpur and Selangor, Malaysia? Shockingly, many consumers still go to unregistered plastic surgeons for their cosmetic surgery procedures. If we wouldn't trust an unqualified car mechanic with our cars, why are we trusting an unqualified plastic surgeon with our face and body? We have written a guide and shortlisted a list of plastic surgery clinics for you below. Using Google to find the Best Plastic Surgery in Malaysia?